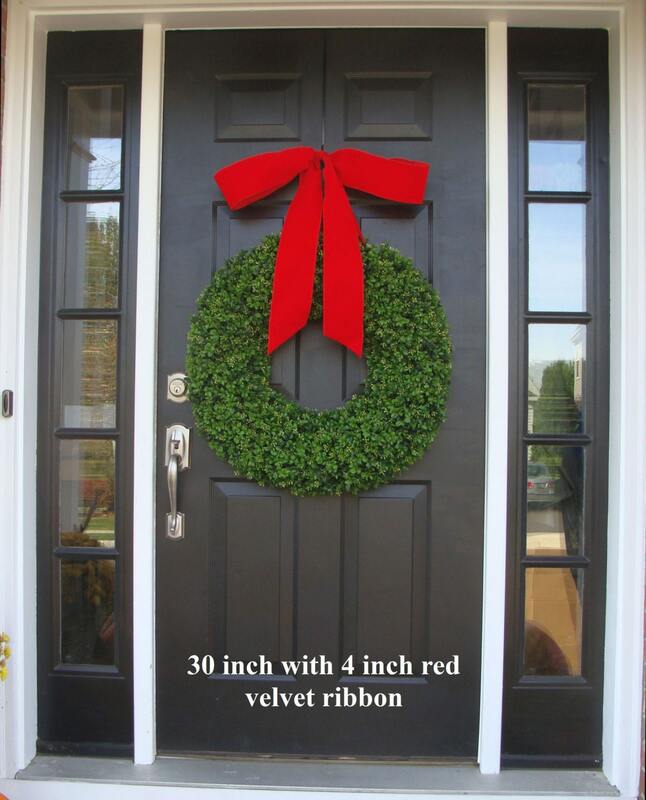 This wreath pictured measures 30 inches in across, 7 inches deep and 36 inches high with ribbon. 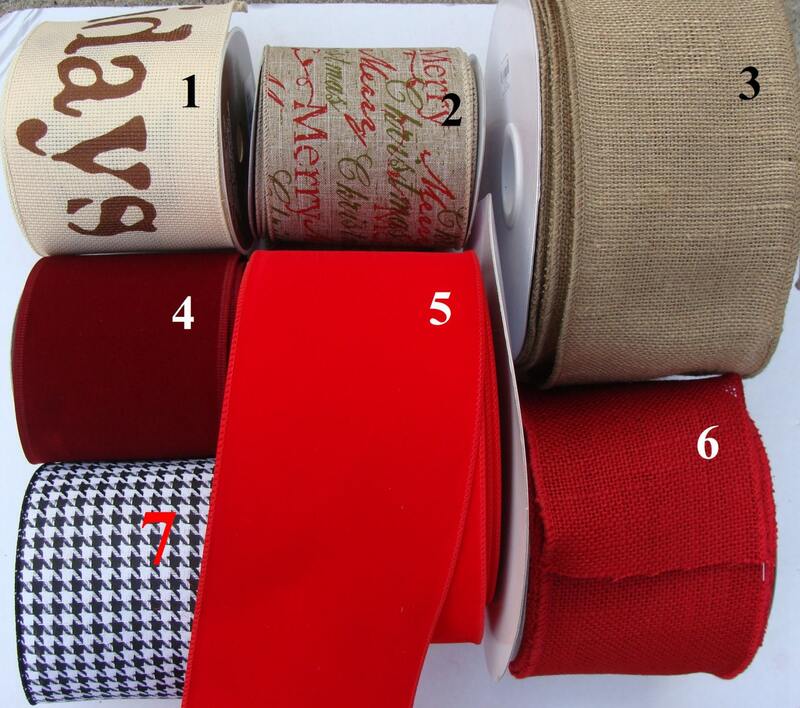 A beautiful, designer, 4 INCH wired thick ribbon is added to each wreath in your choice of color. 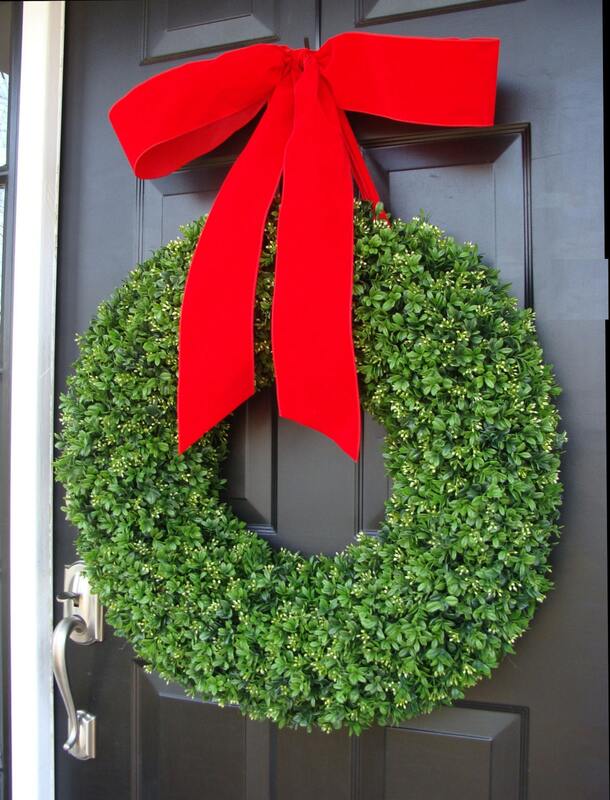 **PLEASE NOTE that I am not able to ship wreaths larger then 26 INCHES to INTERNATIONAL destinations at this time. Absolutely gorgeous! Very full and lifelike! 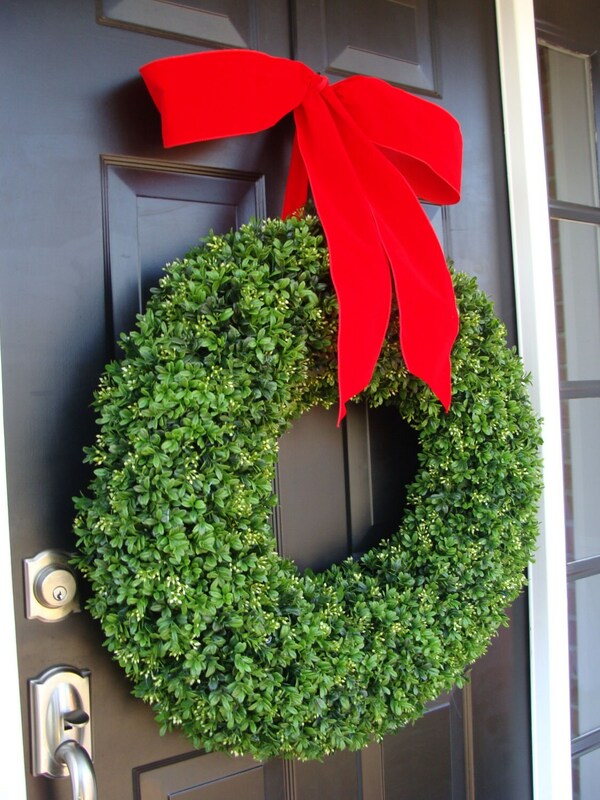 High quality wreath that will be used for many years to come! 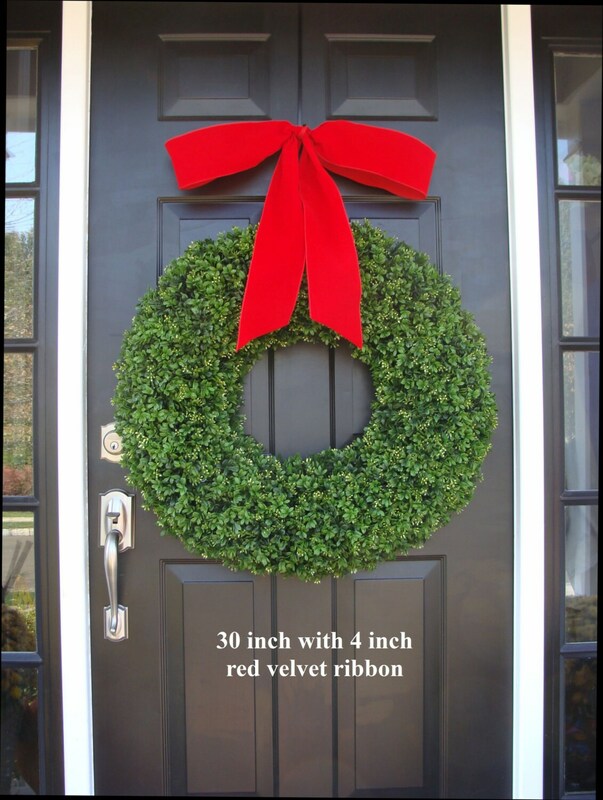 I ordered 6 of these beautiful wreaths. I love all of them. People think they are real. They ship beautifully and on time.